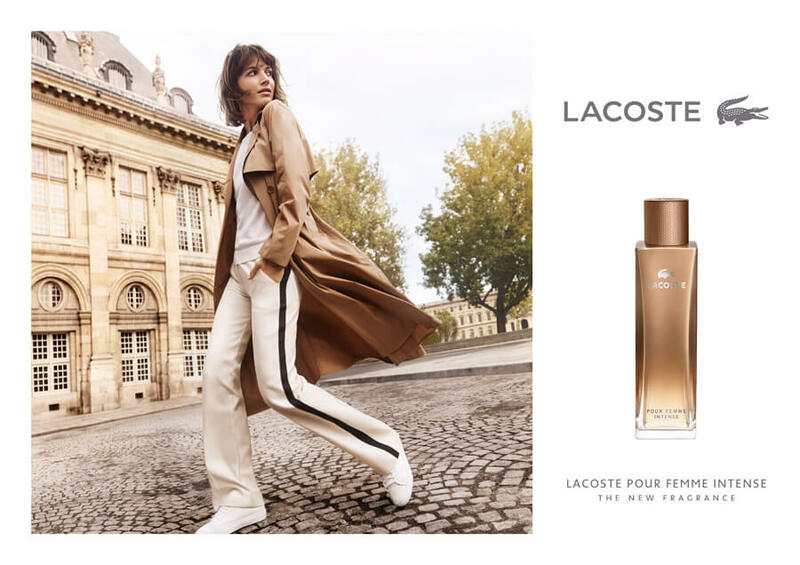 Lacoste Pour Femme, the sporty-elegant female fragrance from 2003, is getting its warmer Eau de Parfum Intense interpretation in 2018, after the Eau de Parfum Légère version from 2017. According to the official description, Lacoste Pour Femme Intense represents the concentrated essence of the cosmopolitan woman and her unique elegance. The new composition is floral, velvety and woody. It is inspired by the attitude of a strong personality without arrogance, a combination of softness and strength, self-confidence and elegance. Top notes include the subtle aroma of caramel, representing the tan colour of the packaging. The floral heart preserves floral notes of Bulgarian rose from the original, as well as the signature notes of Himalayan cedar and sandalwood at the base.